Yamaha's all new fuel injected WR450F will be the headline act at the Yamaha Forest Trail Ride in South Australia on 29 April 2012. 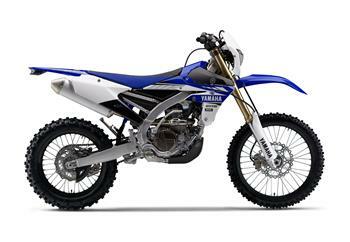 YMA is pleased to announce that all customers who place a deposit on the all new 2012 WR450F between now and 22 December 2011 will receive a FREE Power Tuner worth $400. When Yamaha launched the world's first modern era four-stroke enduro bike, few could have predicted the effect it would have on Australian motorcycle riders. Rod Faggotter, owner of Longreach's Yamaha Dealership - Centretune Motorcycles, has piloted his Yamaha WR450F to a 33second win at the Condo 750 endurance event held in Condobolin, Northwestern New South Wales, over the Easter Weekend. Yamaha's top selling WRF enduro bikes are now available with black or white body kits thanks to a new promotion available at participating dealerships. Most eagerly awaited bike of the year is a big claim. But when that statement refers to Australia's best selling motorcycle which is all new for 2007, it's more than a claim. It's for real.